The Music Teacher’s Helper property went offline this afternoon for a little under three hours (about 2:30PM to 5:515PM CST). All users can now login to their accounts. No data was lost. We’re very sorry for this interruption of service. We continually program updates into the software to make it more valuable to our users. There are rarely issues with this and this is a normal practice for software companies that want their software to stay updated and valuable to their users. However, this afternoon one of the updates we pushed live did affect the ability for our users to be able to login and access their accounts. Once we learned of the issue, we had to identify where the problem was coming from since we did not realize the update was the cause at first. When we learned what had caused it, we rolled back all merges and then restarted the web and database services and now everything works fine. Again, we’re truly sorry for this interruption. If you have any continued issues, please contact customer service at support@musicteachershelper.com. We appreciate your continued use of Music Teacher’s Helper services, and want to assure you that your satisfaction is our highest priority. Recently, Yahoo.com implemented a policy change on their email servers that immediately affects not only all Yahoo email users, but also third party email servers such as Music Teacher’s Helper. Yahoo has changed a single setting on their email servers that prevents MTH and similar list servers from sending an email message that says it is from a Yahoo email address, unless the message is sent using Yahoo’s own email servers. What this means to you is that, when MTH sends out emails, such as invoices or lesson reminders, these messages are being rejected if the teacher is using a Yahoo email address. Other companies are reacting by suggesting that Yahoo email addresses simply be banned from participation in mailing lists, or asking users to change to different email service providers. We at MTH appreciate that this is not an option that everyone will be happy about, and we certainly have no desire to ban users simply because of who they use for email services. But, for the time being, we encourage you to use another email service provider instead of Yahoo. The fix for this on our end is not particularly difficult, but it is not quick to implement either. The main option we are looking at right now will change how emails from Yahoo users appear when they are received. We will update you with the details as changes are made. We appreciate your patience while we address this issue. We have many different training webinars this month, including Settings, Student Management, Calendar and Scheduling, Fees and Invoicing including a look at the new invoice system to be released soon, Website Features (the pages listed on the Website dropdown window), Reports, and Affiliate Basics. 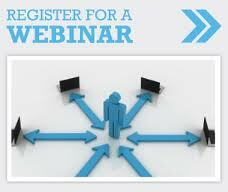 Go to webinars.musicteachershelper.com to register for a webinar, or watch a previously recorded session. Because each webinar holds up to 25 participants, you need to act quickly to register as they fill up quickly.